The Megathron Federate Issue (or 'Fedathron') is without a doubt one of the most rare ships in the game. There is only one in existence, and it is unlikely another will ever be handed out. It was given to 'Doc Brown' by the Gallente Federation as a reward for killing Fatal one of the two founders of the Guristas Pirates as part of the Crielere event. 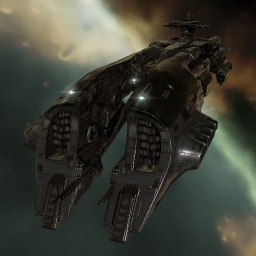 Doc Brown kept the ship for around two years before selling it to DigitalCommunist for 15 Billion ISK. It remained in the possesion of DigitalCommunist for a considerable period of time before his CEO at the time (Madcap Magician) stole it and kicked him from the corp. Madcap then went on to sell the ship to famed collector, Entity (Entity's item collection), who holds it as a prized part of his collection to this day. Further information about additional or recommended skills to pilot Megathron Federate Issue for a specific or it's common role(s) can be written here. No tagged fittings for Megathron Federate Issue. No sub-article about Megathron Federate Issue roles or piloting tactics. You can write them here. You can write additional notes for Megathron Federate Issue here. This page was last modified on 17 April 2018, at 07:44.